Peace Corps Online: April 19, 2003 - Smokebox: Peace Corps Volunteer Moritz Thomsen's "Living Poor"
April 19, 2003 - Smokebox: Peace Corps Volunteer Moritz Thomsen's "Living Poor"
Peace Corps Online: Directory: Ecuador: February 9, 2005: Index: PCOL Exclusive: RPCV Moritz Thomsen (Ecuador) : Stories about Moritz Thomsen: April 19, 2003 - Smokebox: Peace Corps Volunteer Moritz Thomsen's "Living Poor"
Peace Corps Volunteer Moritz Thomsen's "Living Poor"
"His first trip into the country gives us a glimpse of one of Thomsen’s lifelong grievances: rather than being dazzled by the stupendous terrain of the Ecadorian interior, his gaze is riveted on people below the lowest rung of the social ladder..."
There is a bit of a donnybrook taking place in the world of book lovers these days. It seems Jonathan Franzen, on tour to promote his latest offering, The Corrections, has been expressing his dismay at being chosen as one of the Anointed Few to be invited by Oprah Winfrey to appear on her monthly book club program. Oprah heard of his hesitancy to take her oft-suckled teat and liked it not; as a result she withdrew her offer, setting the stage for a good old-fashioned brawl between "elitist" authors like Franzen and "popular" authors like those championed by Winfrey. This sort of flareup is not exactly new, but Salon’s Laura Miller saw this latest battle as her chance to make some pointed observations on this long-standing feud. In her article of October 26, "Book Lover’s Quarrel," Miller absolutely nails "the deeply unattractive tendency for book people to act like stingy trolls sitting atop a mound of treasure they don’t want to share. If they did, it would be a lot harder to use their reading habits as a way of feeling better than other people." That’s quite a statement to lob into the fray, made all the more stinging by the fact that it’s true. Perched squarely atop my own precious pile of treasured authors is a man named Moritz Thomsen. While I may offer in my own defense a long-held desire to write about him, possibly something along the lines of a full biography, I must confess a certain troll-like satisfaction that nobody I mention him to has ever heard of him. It’s a trite phrase, I admit, but Moritz Thomsen could well be the finest American writer you’ve never heard of. Thomsen wrote four books in his lifetime: Living Poor: A Peace Corps Chronicle, The Farm on the River of Emeralds, The Saddest Pleasure, and My Two Wars (a fifth manuscript, Bad News from a Black Coast, is still being shuffled about by hesitant publishing companies). His life came to a painful end on August 28, 1991, in his apartment in Guayaquil, Ecuador. He was 75 years old, suffering from advanced emphysema brought on by years of chain-smoking, combined with cholera, a scourge of third-world countries; his body broken as well from a lifetime of toil as a farmer and Peace Corps Volunteer. He joined the Peace Corps at the age of 48, spent about four years as a Volunteer in Ecuador, and just never left. That’s about as much biographical information you would need to introduce excerpts of his work or even to put on dust jackets, since Thomsen’s four books are all memoirs; they contain everything he cared to say about his extraordinary (my word, not his) life. Thomsen’s choice of memoir as his genre may partly explain his "little-known" status. When writing a memoir it’s easy to slip into writing an autobiography, and from there into outright self-aggrandizement or self-pity, and Thomsen has been accused of both by his detractors. Tim Cahill, for one, wrote a mostly positive review of The Saddest Pleasure for the New York Times Book Review, but expressed "…an urge to grab Mr. Thomsen, to shake some sense into him" for what he saw as Thomsen feeling sorry for himself. But Thomsen avoids these pitfalls as long as readers see that he is writing down stories of his impressions and the stories of others’ lives, with Thomsen taking center stage only when the time has come for a good dose of self-deprecation. If he needs to point out the foibles and eccentricities of humans, he has at his disposal his favorite target for scorn -- himself. Living Poor: A Peace Corps Chronicle, published by University of Washington Press originally in 1969, was Thomsen’s first book, and is considered to be one of the best accounts of the Peace Corps experience to this day. You find no easy answers to the problem of poverty in this or any of Thomsen’s works; what you do find is his unparalleled ability to observe what goes on around him, even as he becomes more and more a central figure in the mad yet beautiful, heroic, often tragic cast of characters in the coastal Ecuadorian village of Rioverde ("Green River"). Thomsen writes sparingly of his motivation for joining the Peace Corps in 1965. That comes later, when we are introduced to Charlie Thomsen, Moritz’s father, a man who comes off ultimately as a monster and a source of endless torment and self-loathing, brought horribly to life in My Two Wars. He is mentioned only once in passing in Living Poor; we will get to know him better soon enough. For now, Thomsen speeds the narrative along through his initial Peace Corps training in Bozeman, Montana, and mustering out to Ecuador, where the first problem is where to send him. His first trip into the country gives us a glimpse of one of Thomsen’s lifelong grievances: rather than being dazzled by the stupendous terrain of the Ecadorian interior, his gaze is riveted on people below the lowest rung of the social ladder: "Superimposed like a black shroud over this mountain area of natural splendor is the situation of the Indians who, since the time of the [Spanish] conquest, have been robbed, murdered, and exploited; now, centuries later, their situation is basically unchanged…Since in the past all change has been for the worse, they resist all change now." A burning rage toward the state of two-thirds of the world’s population permeates Thomsen’s work, a rage he was never able to tuck away safely for any period of time. His initial stint cut short by a life-threatening lung infection, Thomsen re-enlists in the Peace Corps and this time finds himself in Rioverde, a small fishing village on the Ecuadorian coast, and the drama unfolds in earnest. Here he meets people who will shape his narrative not just in Living Poor, but in his other books as well: Alexandro Martinez, his neighbor and "guide" in his first weeks in Rioverde; Bill Swanson, an old gringo expatriate who never tired of bending Thomsen’s ear with tales of how "a month after you’re gone, nobody will ever know you were here"; Alvaro, the local storekeeper turned bitter enemy when Thomsen’s efforts to establish a cooperative threaten his monopoly and power; Wai, the town hero and best boy, with his perpetually pregnant wife, scrabbling hungry horde of kids, and frightening widowed mother; various minor characters like Wilson, Jorge, Pancho, Ricardo, Ernesto, Clever, and others. Here we meet Ramon Prado, a poor young zambo or beach bum who is to figure prominently in the course of Thomsen’s life and therefore his books, in ways neither could ever have known then. Ramon comes forward as the first Rioverde resident to face up to his fears of great change and ask for help; Thomsen sets him up with half a dozen chickens and Ramon’s life is never the same. Immediately Ramon and Alexandro are seen as Thomsen’s favorites, set apart from the people of the town. "Craziest and most interesting is the problem of incentive. 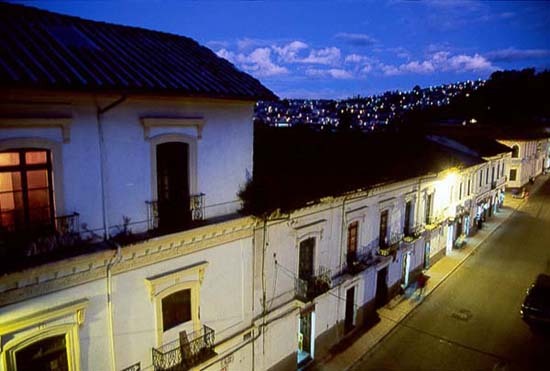 Many of the people of Rioverde, for instance…didn’t want anything. To talk to a man about tripling his income was to fill him with confusion; he got nervous; he started to laugh; he wanted to go get drunk. The poor man from the moment of birth was so inundated with problems, so deprived, that to end up wanting things was a sort of insanity. What he wanted was to stay alive another day to tell jokes and visit with his friends in the sweet night air…he wanted ten sucres from time to time so that he could drink and dance and feel cleansed of life." "Living poor is like being sentenced to exist in a stormy sea in a battered canoe, requiring all your strength simply to keep afloat; there is never any question of reaching a destination. True poverty is a state of perpetual crisis, and one wave just a little bigger or coming from an unexpected direction can and usually does wreck things. Some benevolent ignorance denies a poor man the ability to see the squalid sequence of his life, except very rarely; he view is rather as a disconnected string of unfortunate sadnesses. Never having paddled on a calm sea, he is unable to imagine one. I think if he could connect the chronic hunger, the sickness, the death of his children, the almost unrelieved physical and emotional tension into the pattern that his life inevitably takes he would kill himself." The story in Living Poor unfolds essentially as described above, with one hopelessly complicated situation following the other, and would be depressing as well were it not for Thomsen’s ability to capture the sublime and ridiculous, often in hilarious fashion. Like most Peace Corps Volunteers then and since, he stumbled into Rioverde with the noblest of intentions and soon found himself on the receiving end of astonished, uncomprehending stares; his ideas and plans and offers of assistance were seen as sheer madness, rebuffed time and again with "the people aren’t accustomed to doing it that way." His ventures in raising chickens, breeding pigs, planting coconut trees, and ultimately organizing the town into a cooperative are an unending roller-coaster of backbreaking labor, precarious success, and horrible defeat. Just as the reader begins to think Thomsen has managed to become a part of Rioverde society he points out the gulf that always existed, even after years of living and working in the town. He constantly struggles to find enough to eat, paying exorbitant prices for what few eggs, cans of tuna fish, sacks of rice, and bottles of beer he can scrounge. Still he has to travel to Guayaquil every month or so to gorge himself on hamburgers, milkshakes, pork chops, and green vegetables. He realizes that, no matter what he tries to tell himself, he is never going to be a real part of a town where everyone subsists on rice, plantains, and the occasional pile of fish, while he can just pack up and go to town and stuff his face with protein. How can he consider the prices he pays to be outrageous when that money is all that separates entire families from physical or financial ruin, and the eggs on his plate are desperately needed by protein-starved children? Living Poor is simply too wonderfully written to put down once the reader becomes wrapped up in the horrifying, hilarious, heartbreaking, fascinating story that unfolds around Thomsen and Ramon, as they find themselves further and further distanced from the people of Rioverde. Thomsen’s book is not exactly a groundbreaking work—Peace Corps Volunteers have written of their experiences since before and long after Thomsen’s stint—but it stands alone by virtue of Thomsen’s unique insights and writing style. Some have found his work oppressively dark, especially the books he wrote near the end of his life, but Thomsen’s cynicism is tempered by his obvious love of people, a love he fights terribly to keep in the face of betrayals and disappointments. Part II—Moritz Thomsen’s Farm on the River of Emeralds .